When is a 4x4 not a 4x4? Honda would like you to believe when it’s the new CR-V. And it puts up a very convincing argument. The new, British-built CR-V 2.2 diesel chucks out 173g/km CO2, which is less than a lot of cars and means you can park it for £130 a year instead of £300 in Richmond council’s new residents parking tax scheme. 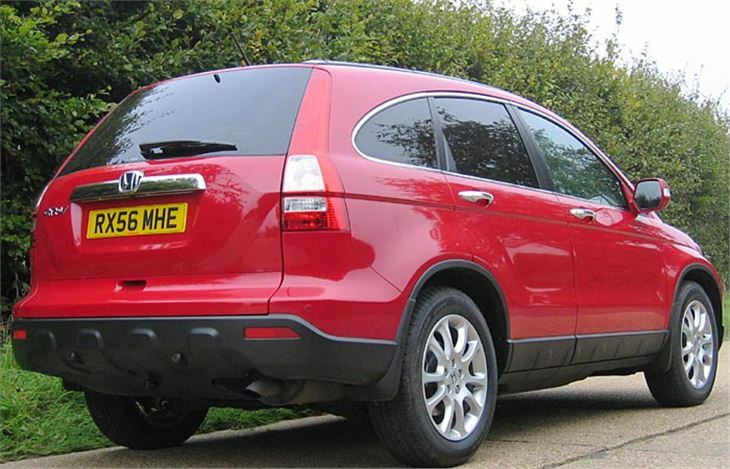 It takes up less road space than the average family estate car, yet it offers more room inside. It’s safer for the occupants in a crash and even protects any pedestrians it may hit. So the mere fact that it offers part-time four-wheel drive to help get you out of a muddy field should not upset Ken Livingstone or Bamber Gascoigne in the slightest. You are definitely not an “idiot” for buying one. You can even have a rear window sticker to try to educate the green-envy brigade telling them “not all 4x4s are the same”. Like the RAV-4 which was really the first of this type of vehicle it’s now in its third manifestation. And in fairness to the RAV-4, the basic 2.2 litre diesel version of that also emits just 173g/km CO2, so is just as friendly to the planet. 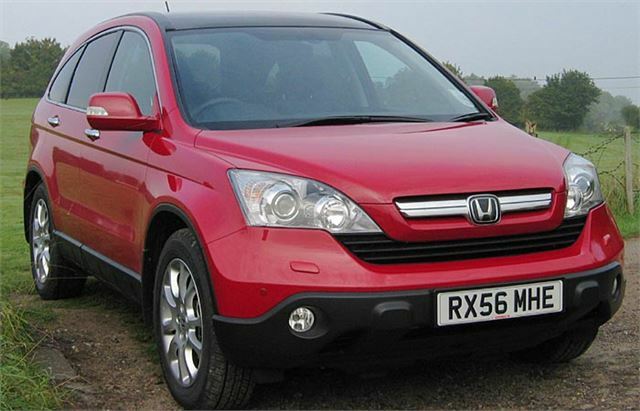 The big change with the new CR-V is that Honda has made it more car-like to drive. 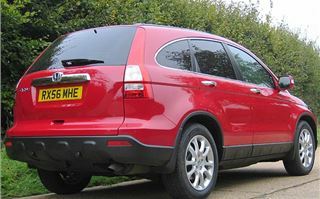 The predominant feature of the old CR-V was understeer. Honda improved it half way through its model life, but you still always had to remember you were driving a ‘Sports Utility Vehicle’, not a car. Well not any more. 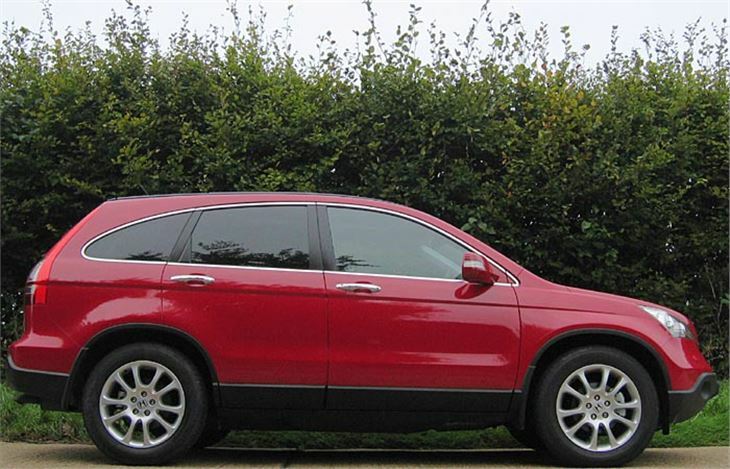 The new CR-V is one of the nicest new cars to drive that you can buy. It has excellent ride comfort. It’s quite soft. It still understeers, eventually. Yet turn it into a roundabout and it grips like no other SUV on the planet. Not only that, you have a feeling of total control. 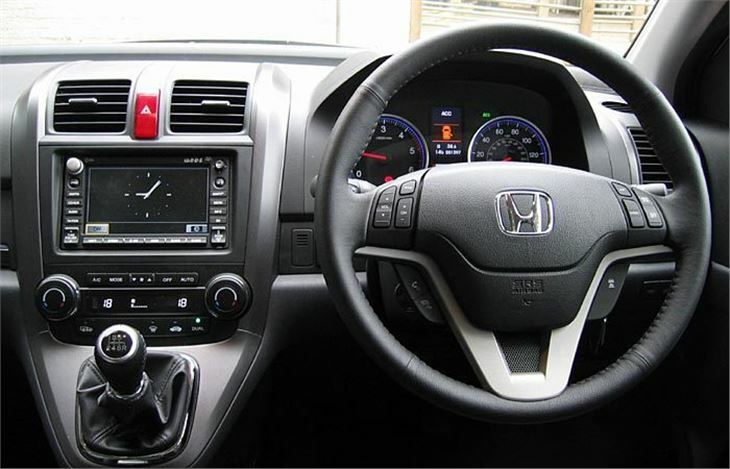 It’s extremely driver friendly and very pleasant however you want to drive it. Of course the 140PS diesel lacks the grunt of the 177PS RAV-4 T180 I drove to the launch. You can’t block-change and drop it on the massive torque of the T180. But it’s still perfectly adequate and, at 31mph per 1,000rpm in 6th it’s an excellent cruiser. 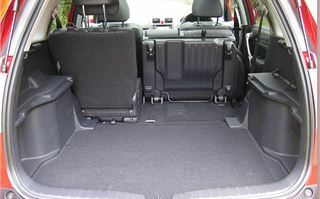 In the back, as before, the rear seats slide and tumble 60-40 leaving a completely clear, low and very capacious load deck. The backrests fold and recline slightly 40-20-40. The spare wheel is now a space-saver located under the boot floor. 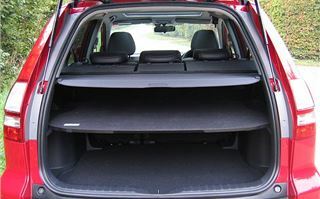 There’s a strong shelf, splitting the boot in half horizontally (ideal for dogs on top; guns and tackle underneath). And the back door is now top-hinged, hatchback style. 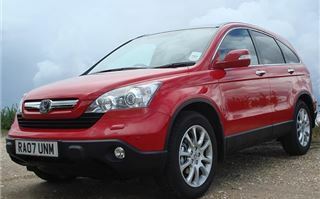 As well as the 2.2 diesel you can also have the new CRV with a 2.0 litre petrol engine and as a 2.0 litre petrol automatic. (No diesel automatic.) The four-wheel drive system now has a Dual-Pump system. So it engages much more quickly when needed. 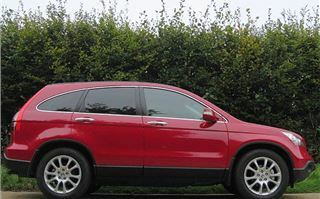 But the CR-V is a ‘soft roader’ with no centre diff locks or low range for ‘serious’ off roading. I’d better explain how the Dual-Pump system works. It consists of two hydraulic pumps integrated into the rear differential. One is driven by the front wheels via a transfer gear and the prop shaft. The other is driven by the rear wheels via the rear diff. While the front and rear wheels turn at the same speed, so do the two pumps and hydraulic fluid circulating between them is equalised. But if the front wheels start to turn faster because they are slipping, their pump turns at a faster rate then the rear pump, generating pressure that is fed to engage a multi-plate clutch that then connects the propshaft to the rear diff, giving four-wheel drive. There is also a one-way ball cam and pilot clutch system. This consists of two plates and six large ball bearings that move in ramped grooves. When a slight difference in rotation speed between front and rear wheels occurs, the ball cams move in their grooves and instantly engage the main multi plate clutch. This happens before the two hydraulic pumps generate pressure so that drive is transferred without any lag. As the 5-door CR-V and RAV-4 have always been, it’s a family car for families who don’t want a saloon, a hatchback, an estate car and especially don’t want an MPV. It offers the slightly raised driving position many women feel more confident with and which is also very friendly to bad backs. 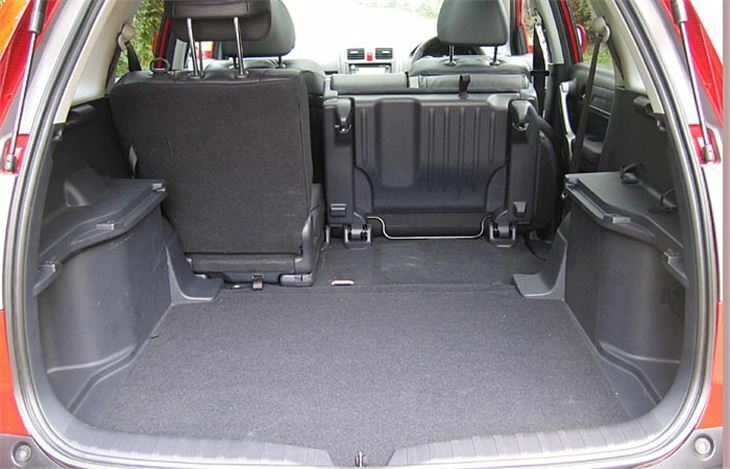 It’s as practical and as capacious as most MPVs. The chunky tyres shrug off kerbs. And the Dual-Pump four wheel drive system will help get you out of wet grassy fields. Yet it’s also bigger inside, faster, more fuel efficient, better handling and emits less CO2. You could say Honda has done quite a thorough job. But the main virtue of this new CRV is the friendly driving experience. It isn’t merely “just like a car”. It’s actually better than most cars.